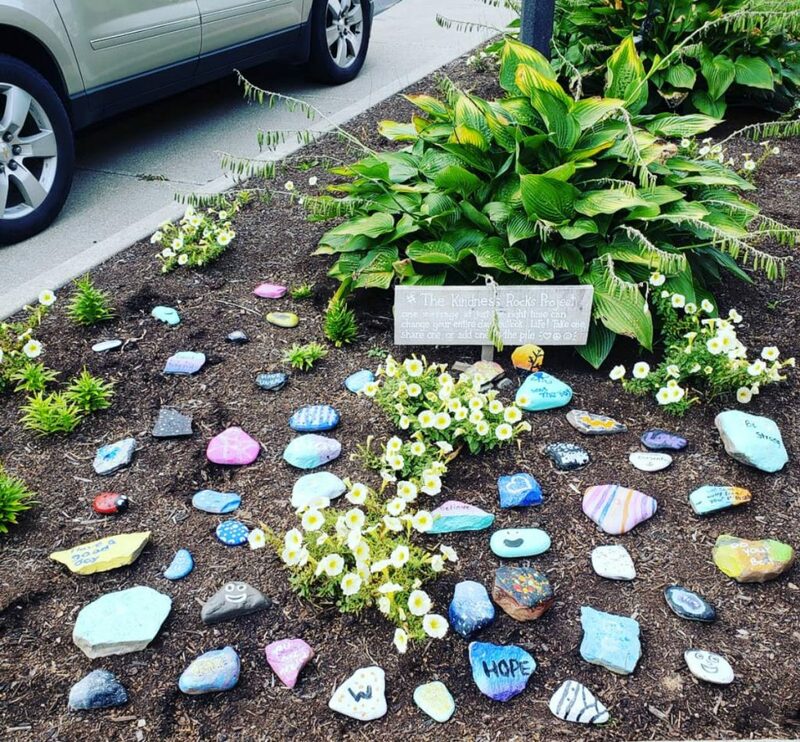 A few years back the Wilson high school and middle school health classes led by the Health teacher (and field hockey & track & field coach) started a kindness rock project. Students painted rocks with positive sayings. The rocks are placed at the elementary school, middle school, and high school for all to enjoy. 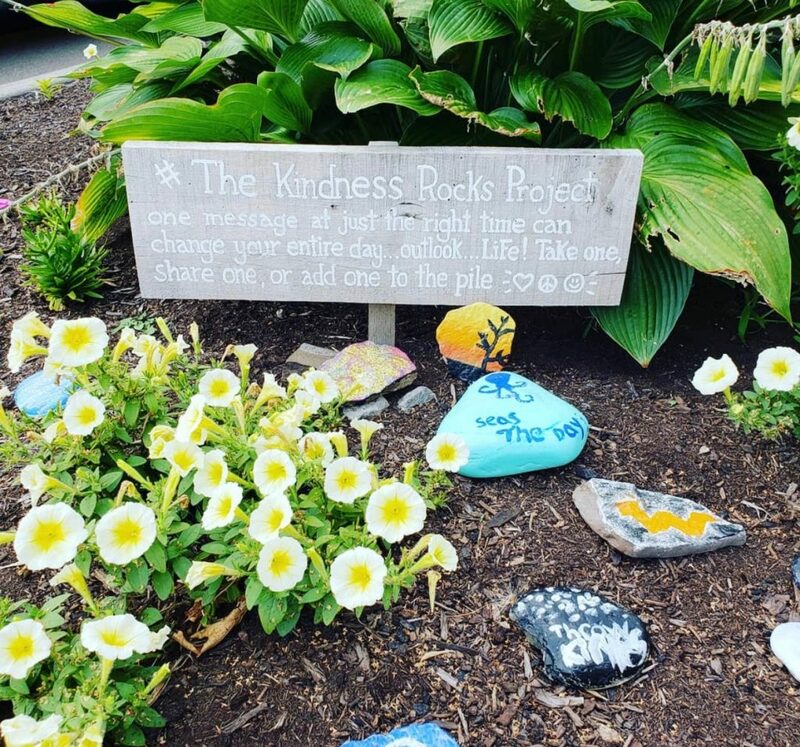 The Field Hockey team created many more rocks and gave the elementary school project area a “kindness facelift”.